My Zynga addiction clearly knows no bounds. 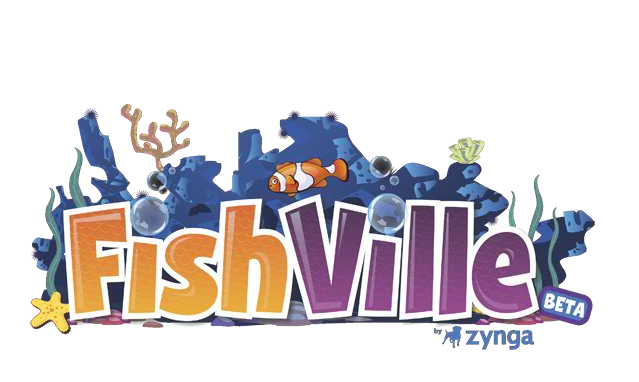 Last week, Zynga launched a new game called Fishville, and clearly at this point I have no ability to resist any new Zynga game. Fishville has a deceptively simple frame: you have a fish tank, and you buy fish eggs for it. The fish hatch, you feed them, and then when they are fully grown, you sell them for profit. Multiple Tanks. How many people wish they had more than one farm in Farmville? In Fishville, Zynga has two types of expansion – the ability to put more fish in a single tank and the ability to buy new tanks. This may not seem relevant from a structural standpoint – after all whether you add 20 fish to one tank or 10 to 2 tanks shouldn’t matter – but it should create a new dynamic around buying virtual goods to decorate different tanks. Harvest Levels. This is the real twist to the economics. Fish grow up in stages, up to four levels. The revenue in coins and the experience you get goes up linearly with each level. So if you have a 4 hour fish, you can harvest them at 4 hours at Level 1, or 16 hours at Level 4. You still have to feed them or they die (similar to withering crops in Farmville), but you don’t need to “replant”. The Harvest Levels have the most impact on the game economics. In financial terms, each fish now has a fixed cost and a variable cost, as well as a fixed experience pay-off and variable experience pay-off. For example, let’s take the Mini Dart Goby, the first fish. The Goby costs 7 coins for an egg. That’s a fixed cost. If you grow it to Level 1, you’ll get 18 coins, for a profit of 11 coins. Easy, right? Hold on. If you wait until Level 4, you’ll get 72 coins over that same 7 coin cost, for a profit of 65 coins. The fixed cost means that your “profitability” or “profit / minute” goes up the longer you wait to harvest. Seems like a no-brainer to wait until Level 4? Not so fast. With Experience Points, the math works in reverse. The Mini Dart Goby gives you 2 XP for dropping the egg. At Level 1, you’ll get 8 XP, for a total of 10 XP. But if you wait until Level 4, you’ll get 32 XP, for a total of 34 XP of the time period. In this case, your “XP / Minute” goes down the longer you wait to harvest. For now, here are some tables I’ve made for the fish I have data on. Unfortunately, this game is so new, I can’t find any guides online with data for all fish. Special thanks to Erin Hoffmann, who serves as both data provider and my toughest competitor in Fishville. The most interesting aspect to these tables is that while the profitability / minute rises for each level, Zynga has kept the fixed costs proportional enough that the ranking of the fish does not change significantly between 1 level or 4 levels. Hope this helps the new Fishville players out there. Enjoy. Update (11/14/2009): New blog post coming tomorrow, with updated tables and new info. Also, fixing the issue around the whole “Level 4/Adult” confusion, and publishing a Google Doc to help others benefit from the raw data. I’m still finding that people are ignoring the XP from the dropping of the egg, and only focusing on the XP from harvesting, so I’ll update tables to make that more clear.